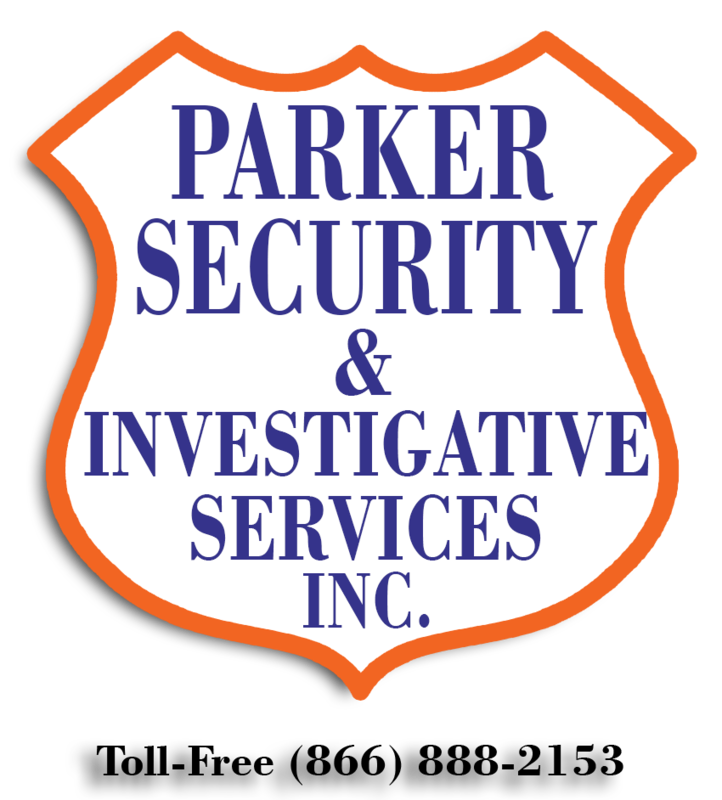 MY PHILOSOPHY FOR PARKER INVESTIGATORS – Parker Security & Investigations Agency Inc.
Parker Security & Investigative Services, Inc. is a family-owned business, founded in Albany, GA in 1984. We have been very fortunate the past few years; business is good! Good for Security and for Investigations. For this manual though, I am only going to discuss the investigative end of the business. Yes, we have been very fortunate and also lucky. Lucky because we have managed to attract some of the best professional investigators in the entire State of Georgia and beyond, bar none. Therefore, I may be a little biased when I say we have the best security and investigations agency in Georgia. We handle criminal as well as domestic cases. We can de-bug a large manufacturing company or protect the most powerful dignitary. We do electronic surveillance as well as electronic counter-measures and we have operative agents. As a result of our growing business I felt it very necessary to write a Parker Private Investigators’ handbook and am considering hiring more investigators. If you are reading this material, you are one of the fortunate. First, let me say that I don’t care how much or how little experience you have. You, however, must have the same philosophy as my lead investigators and I. This Agency’s lead investigators are: (1) Jerry Merritt of our Tifton Office. Jerry is very tenacious when it comes to surveillance and is full of ingenuity, so don’t let him get after you! (2) Ben Lockett is a former Secret Service Agent. As far as protection, I would trust him with my family’s and/or my life anytime. If Ben is interrogating you, watch out! (3) Dorene Parker, my wife, is a whiz on the computer and tailing people. If she can’t locate you via computer database, nobody can. (4) Lamar Parker, Jr., our son, hasn’t had a lot of time to perform investigations lately, because he’s busy managing the security guard services end of our business. I used to tell him he was one lucky investigator (he says skilled) because I have had a retired police detective on a case for four days without results; Lamar would work the same case for day and a half and get results. (5) The fifth lead investigator is yours truly. With more than thirty years in the business, fifteen in the corporate world and seventeen my own, I am still learning everyday. As you can see, we have an unbeatable source of professional investigators that can protect the President of the United States as well as finding out what your neighbors are up to. These investigators and I have one thing in common, we all share the same philosophy when it comes to the private investigations industry. In summary, loyalty, reliability, self-reliance, integrity, desire, and persistence are the blueprint for the Parker Investigator. I hope each of you will read, understand and become familiar with my philosophy for becoming a Parker Investigator. Some of you that have been with me for a number of years already know this and we feel the same way. The following materials in this manual are to keep you sharp on cases and may help in some small way. Also, I am always open to hear your ideas, and am always willing to learn. Good luck and welcome aboard! Loyalty is a must for anyone working with us. If you can’t be loyal to this agency you won’t be with us very long. The Parker investigator also possesses the quality of Self-reliance. He/she doesn’t need a corporate policy manual to findthe lunchroom – they use their nose. When they go to the courthouse to review an important file for a background check and are told “it’s not available”, they don’t stop there and return to headquarters with nothing but “what else could I do?” They start asking questions. Where might it be? Is there a supervisor they can talk to? They will bend the rules and if absolutely necessary, they’ll break them, but as gently as possible while never breaking the law. They will find a way to locate the file and obtain the needed information because if they don’t, no one else will. A key part of being self-reliant is the ability to improvise when the unexpected happens. Improvisation is frowned on by many large bureaucracies, but is rewarded in our profession. This is why many investigators coming out of large business and government institutions often (but not always!) fail to thrive as PIs. After years of enslavement to policy manuals, they have lost the ability to think fast on their feet. Put a person without the quality of self-reliance out on a case and just wait until the unexpected happens. They’ll act like a drunk who is “reckless walking and attempting to crawl”. The Parker PI knows right from wrong and is committed to right in both his professional and personal life. Integrity means that evidence, witness interviews, and other important data are never used to support one case theory or another. Bad news for the investigation is reported with the same unvarnished forthrightness as the good. If the Parker PI screws up – fails to be at a certain place or time as needed, gets burned on a surveillance, or uses poor judgment, he voluntarily reports this to headquarters or the case lead investigator. Integrity is the foundation of trust and once a case director’s or client’s trust in an investigator is diminished, the value of the investigator is also diminished. Simply put, an investigator’s greatest asset is his integrity – and once he discounts this, he places himself in the bargain bin as well. What is Desire? I’m talking about the desire to be a private investigator! A critical component of the Parker PI is that he or she wants to be one. Among those in our profession are the transients – those whose living is earned through some other field. And then there are the rest of us – the lifers. Find a lifer (or potential lifer) and I’ll have an investigator whose mind and body is in the same place. Less desirable are those who have never had a true desire to be a PI, or those who had the desire and lost it. Individuals in this group are (1)moonlighters who work in the profession but would rather be doing something else, and (2) long-time investigators whose desire has been lost through burnout. One whose sole desire is to be an investigator will awaken at four in the morning and churn over the details of a case before going back to sleep. Upon morning wake-up, suddenly has a fresh approach to try on a particularly tough case. The PI who is not fully committed may awaken in the middle of the night but has thoughts of other interest, not the case. Which of these two PIs would you think most likely to come up with a breakthrough on any given case? The PI profession is not for those fond of mysterious appearances and disappearances, for those who talk fast and dazzle us with their brilliance when present, but leave us in a state of disarray when absent. They do not bring to court their report (hand written notes, etc.) then find that the client has a “cleaned up” copy from headquarters. The Parker PI is always present for an assignment as requested. He/she does not “pick” the case they want. No posse is needed to locate them when their services are required. When assigned a surveillance to start at 6 AM he is there at 5:45 AM, not 6:20 or later. And when not on duty he is only a phone call away. If not immediately reachable by phone and a message is left, he’ll respond in a timely manner, never the next day. He/she understands that being reliable doesn’t mean demonstrating that they can be reliable once or twice and then forget about it – it means proving it on every single case. Reliability also means checking in with headquarters or the lead investigator every day unless told otherwise. Remember, our clients don’t have the patience that we do and they want continuous updates. Persistence – the secret behind so many “miracles” performed by top PI’s and a quality that many “wanna-be” investigators lack. Above all else, persistence is driven by a strong unwillingness to accept defeat – a strong attribute of the Parker PI. This investigator will sink his teeth into a lead and not let go until it’s bled dry of all possible usefulness. This is the workers’ compensation investigator who uses his own time to check up on the subject of an investigation; quietly and methodically noting patterns that occur when he goes on the clock to conduct actual surveillance. This is the investigator who doesn’t become disheartened when canvassing a large area, perhaps and entire town, for a license plate. He/she breaks the area up into quadrants and grids and methodically eliminates them one by one. The investigator lacking the quality of persistence becomes overwhelmed by the prospects of finding a needle in a haystack and, quits early, or becomes easily sidetracked. As with reliability, persistence is not a trait that the Parker PI demonstrates he is capable of achieving on one or two occasions, it is a habit. He has it with him every single time out, just like his business card.